It has begun. Okay, so I know it’s Kombucha, but my Thommunism will not be impeded. This is my culture in a gallon and a half (or so) spouted jar that a wonderful theatre friend gave me. I have chosen to name this culture Ardhanari. Look it up if you like. 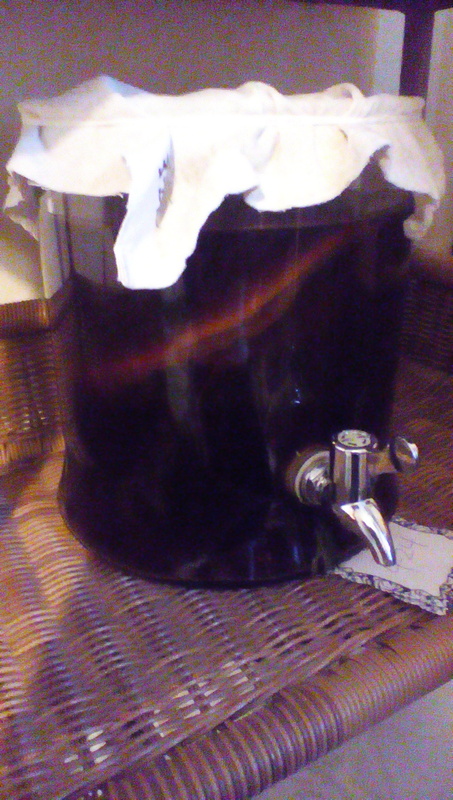 This brew is about a week in so about halfway through the first fermentation. Then I bottle it, flavor it and let it carbonate for a couple days before I stick it in the fridge and enjoy. Flavoring is open territory. I used to do my brew with green tea but I’ve switched to black tea as I hear it’s better for the life of the culture. I heavily favor flavoring with ginger and/or lemon juice. I hope you have enjoyed this little portal into what I do with myself.